If you have an amplifier you want sup’d up DAR has you covered. With a solid understanding of how amplifier circuits are designed, and function, as well as how to modify the circuit to achieve a desired result. DAR can take your stock amp and make it a tone monster. From a simple tube voicing, speaker swap, or tone component upgrade…to a full on circuit modification, adding an effects loop or master volume, to name a few popular options. All the way to radical changes, such as class A/Class AB switchable power section or cascading gain modifications. This modification converts a fixed bias amplifier into an adjustable fixed bias. 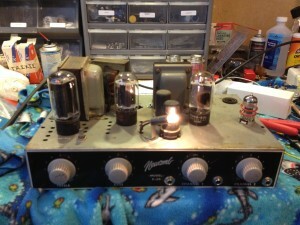 Adjustable fixed Bias allows the Power Tube Bias to be dialed in for optimal performance: You would think that every amplifier would have an adjustable fixed bias, a lot do, but often this is not the case. Many manufactures have opted for a fixed bias (usually this fixed bias runs the tubes cold) as a safety not to redplate the tubes during the manufacturing process, Allowing them a fast plug and play one size fits all approach. The other reason for a fixed bias is so manufactures can sell you replacement tubes that have been tested to match the amplifier at a premium cost. Changing your amplifier’s Fixed Bias to an Adjustable Bias gives you the ability to adjust the current draw for optimal tone and life of the power tubes. With the added benefit of not being forced to use a specific brand of tubes. The tubes will still need to be matched as well as in most cases the same type of tube (changing tube type is another modification). In many cases, DAR can modify the fixed bias with mimimal or no perminant modifications to the amplifier meaning it’s 100% reversible so if you have a vintage collectors item you can get the most out of it while you play it and when you are ready to sell it. It can be put back to stock if desired and not negatively effect the value of the amplifier. All parts used are top quality, often times military specification components. 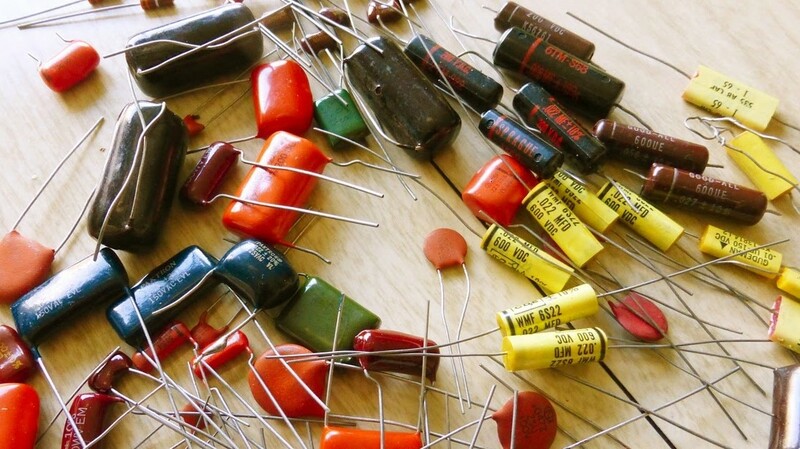 Most Production Amplifiers, effect pedals, and commercial guitars are made on a price point and the parts are bought in bulk and just dropped into place. 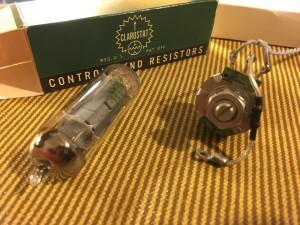 This Modification involves replacing the critical stock tone caps with hand picked components for maximizing your amplifiers desired tone and response. From changing component material type to component value. DAR can dial in the tone that is exactly what you are looking for. Replacing the Electrolytic Capacitors with low noise Audio Grade Components, replacing Plate Resistors with Metal Film, and if not already converting the power cord to a 3 prong earth ground connection. 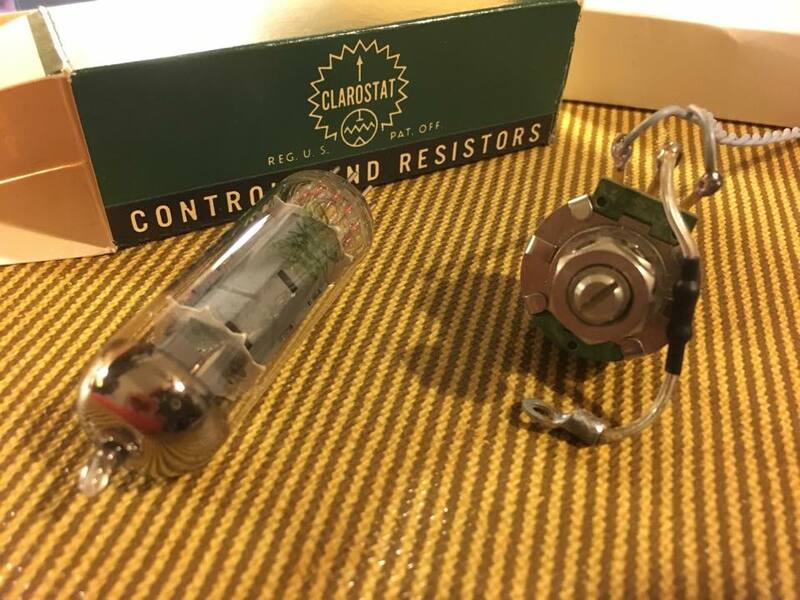 Commonly vintage 60’s and ’70’s amplifiers came with a 2 prong power cord and ground switch which toggled between the hot and neutral to a capacitor, commonly known as the Death Cap, grounding to the chassis. This type of connection floats the earth ground and is susceptible to a higher noise floor. The other disadvantage is that without an earth ground you share the ground of the amplifier through your strings. which means you can get shocked. Because of this potential of conducting electricity into your person. The UL Safety Standards requires all amplifier design manufacturing to now have a chassis connection to Earth Ground. This modification not only lowers your noise floor it can save your life! Removing the old power cord, removing the death cap and un wiring the ground switching switch, then Installation of the new grounded power cable. In most cases the ground switch is left installed to retain the stock look. 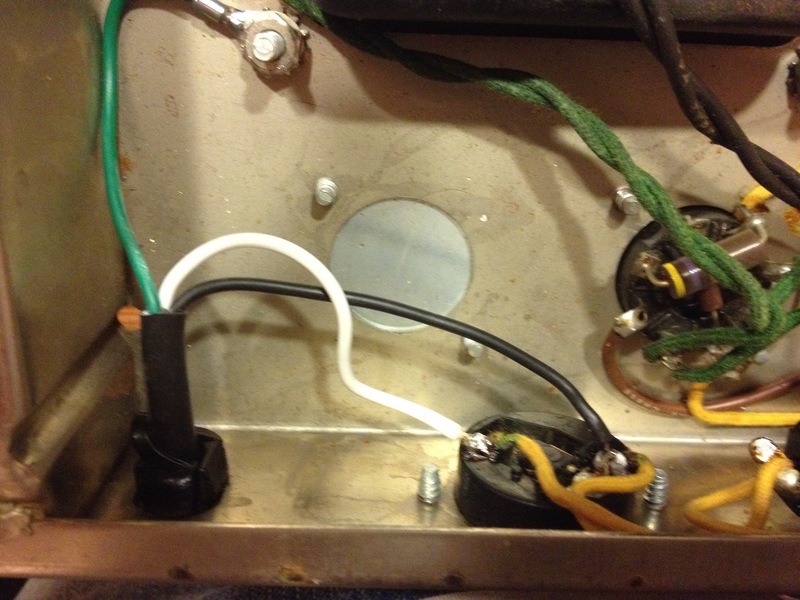 this hole can later be used to add an addition potentiometer or switch for a modification. This Power Cord modification can be reversed though it’s widely excepted as a positive improvement and does not lower the value of a vintage amplifier due the added safety that it gives. 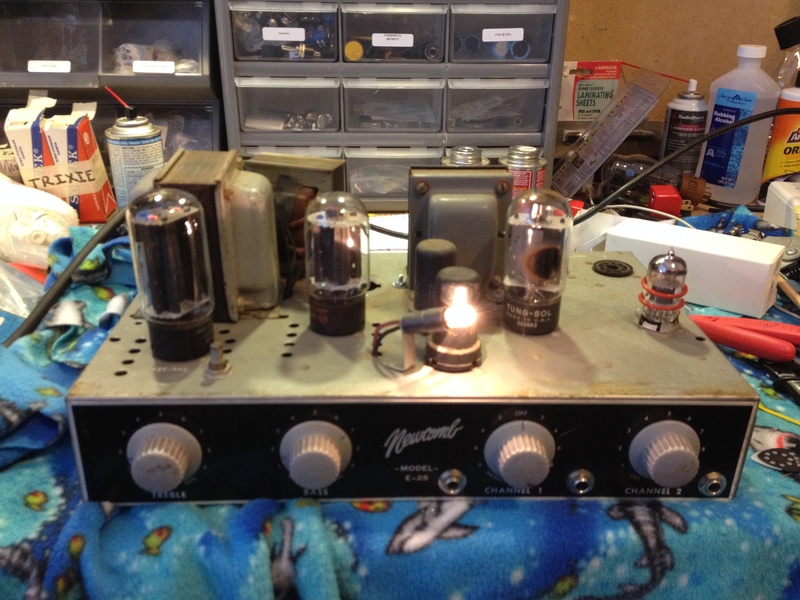 Tube Rectification is known for “Sag” the way the amplifier responds to the way it charges voltages resulting in the tone and responsiveness of the playing to be slower. Solid State is fast to charge so the notes are much faster to show up on demand. Both are desired by player for achieving different tones. This limitations for this modification is space and transformer capabilities, often it requires drilling holes and additional sockets and transformers. please call to discuss more. The Amplifier in the Picture started as a phono PA, a cascading dual channel guitar preamp was fabricated, the power section was rebuilt to allow for speaker cabinet integration, the Rectifier circuit was tailored to guitar voicing, the entire circuit was restored, replacing almost every 60+ year old component, except for the transformers, plus the addition of an earth grounded power cord. This modification is limited by the voltages and amperage draw requirements of the tubes, if you exceed the limitations of the power transformer you risk damage to the amplifier that will result in costly repairs.